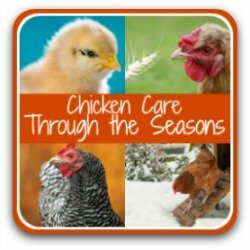 Raising chickens: flock care in October. 20 tasks to complete during October to make sure your flock is healthy, happy and set up for winter. Looking for something specific? 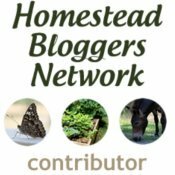 Try these links. Some links on this page pay me a small commission if you click through and buy. There's no additional cost to you. Details here. So autumn is upon us, and winter will soon be closing in. 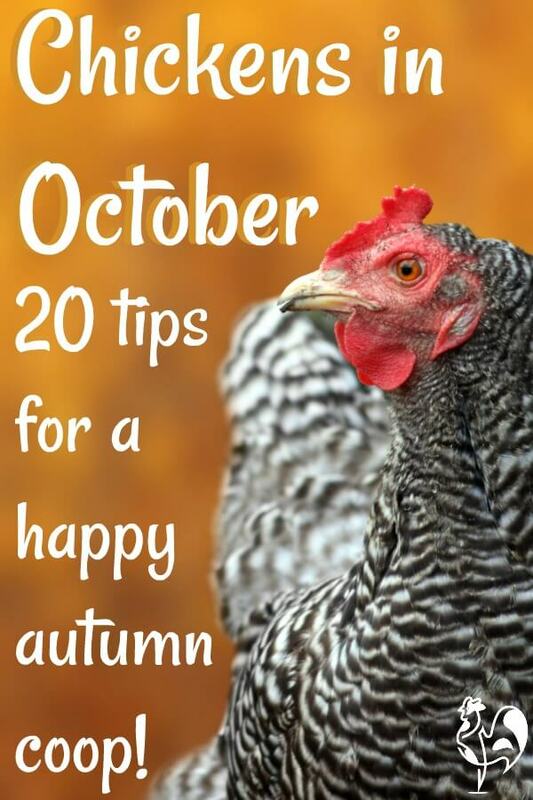 October is a great month to prepare your coop. It's best to get these tasks done while the weather is still reasonable. At just one a day you'll be finished before the month is out! Trying to fix a coop when it's so cold your fingers stick to the wood is no fun - and by then, your flock might already have suffered harm. 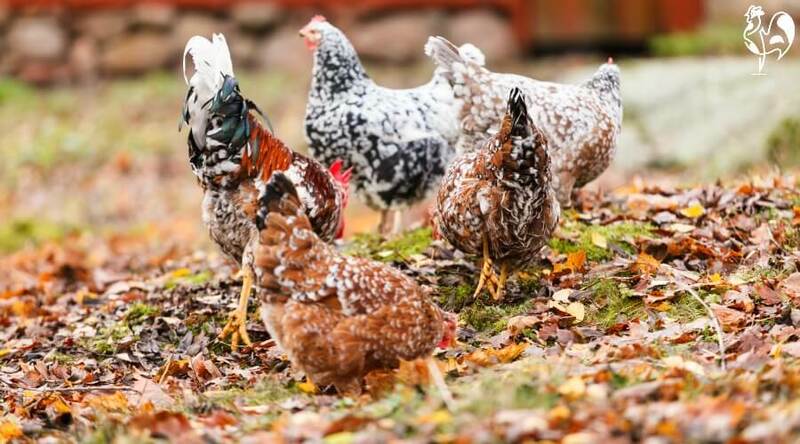 But first, let's understand what's going on with your chickens during the autumn months. You'll know when your flock is moulting. Your back yard will look as though there's been a pillow fight, and your chickens will look like someone has been plucking them for the pot. Moulting is a perfectly natural process. Your girls (and boys) are simply renewing their feathers so that, when winter comes, they'll be ready to take on the coldest weather. Don't be surprised if your hens slow down or stop their egg-laying as they go through the moult. They need all their energy to make new feathers. 1. Feed some higher protein foods than usual while the moult is taking place. This helps your birds to replace the energy they're spending in growing new feathers. Not sure what to feed? This article will start you on the right path. 2. If you've clipped your chickens' wings to stop them flying into danger, you'll need to do it again once they've finished moulting. Do not try to clip before the moult has finished. 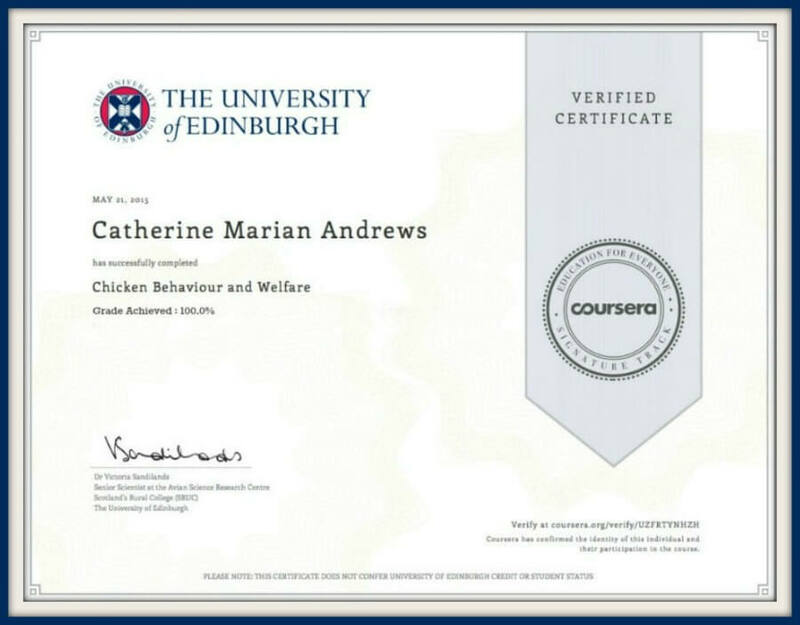 This page has details of clipping chickens' wings safely, including a short demonstration video. 3. Please, please, do not be tempted to dress your chickens in sweaters while they're moulting. 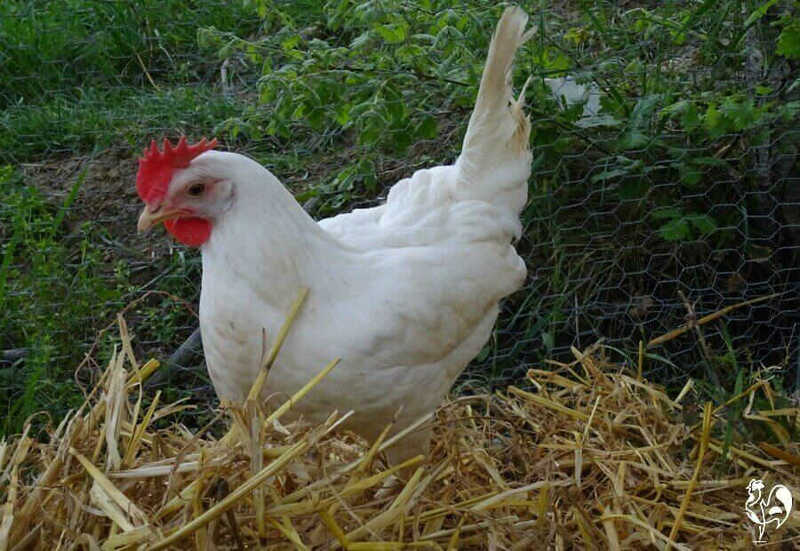 The growing "pin feathers" are tender to the touch - and your chickens are perfectly capable of keeping warm naturally. You're potentially doing far more harm than good trying to interfere with the process. Use seasonal fruit and veg to top up food. 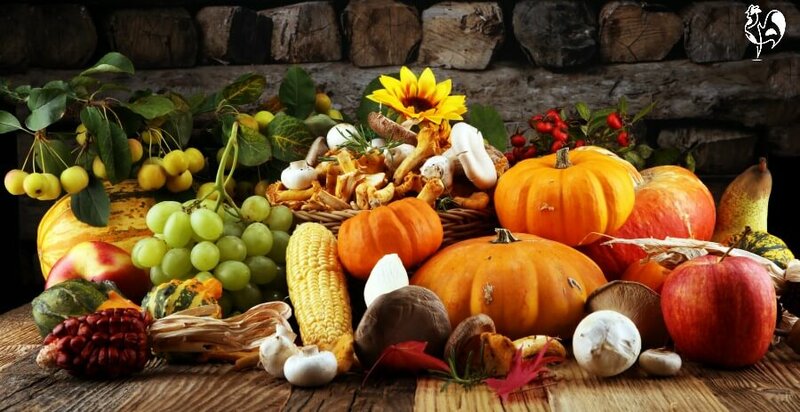 Autumn (Fall) is a wonderful time of year for nature's bounty. So as well as offering a little extra high protein food, take a look what's available seasonally to supplement your flock's diet. Berries, grapes, sweetcorn and windfalls are all a great choice. If you spoil your hens, chop them up and make them into an autumn salad. Otherwise, just give them whole - your flock knows what to do! 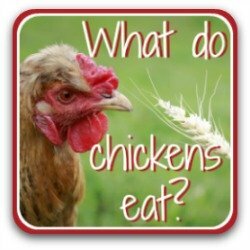 You may have heard that apples are bad for chickens - misinformation alert! The seeds (pips) contain low levels of arsenic, but the flesh is fine and chickens tend to leave the seeds anyway. It's pumpkin time, and pumpkins are a particularly good source of potassium for chickens. Potassium helps in energy generation so again, particularly helpful when your flock needs extra energy to grow those new feathers. Hallowe'en is an ideal time to offer left-over pumpkins to your flock! 4. Gather windfalls in a bucket and allow them to start softening a little before you feed to your flock. Worms finding the windfalls will naturally multiply and are another great natural source of protein for your girls. 5. If you don't have fruit trees, visit your supermarket or local farmers' market. They often have bruised fruit you'll be able to buy cheaply - sometimes for free. 6. When you buy your Hallowe'en pumpkins, throw another one in your basket for the chickens! Feed by simply cutting the pumpkin into halves or quarters and leave them on the ground. No need to peel or scoop out the flesh - your flock will do that for you! Or, try my recipe for a Poultry Pumpkin Platter. 7. If you planted sunflowers during the summer, look out for the heads which should be filled with ripened seeds now. Either pick them off yourself or just throw whole heads to your chickens. They'll strip them more cleanly than you will! 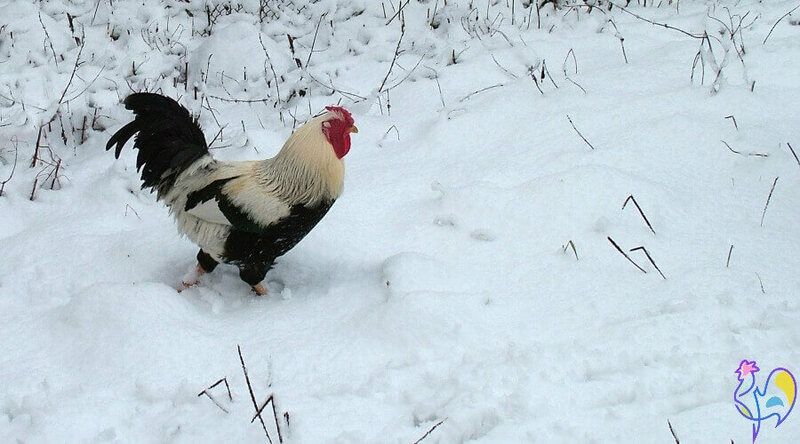 Prepare your coop for winter. 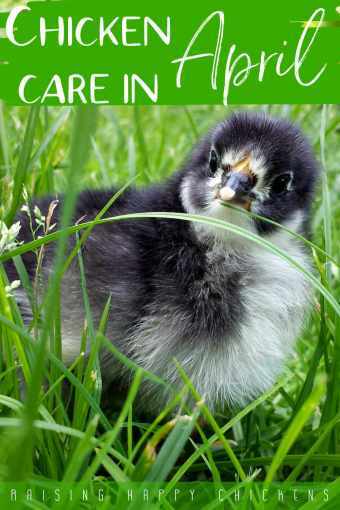 This month is the time to clear out your summer bedding, deep clean the coop for winter and check for problems of leaking or poor ventilation. 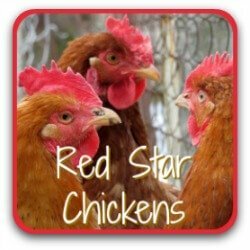 The subject of bedding is a controversial one among backyard chicken keepers. Personally, I use sand in the summer - it keeps the flies down amazingly well and the chickens love to dust bathe in it! I prefer the deep litter method for the cold Italian winters. One of my Leghorns, Miss Marple, inspects her new straw bedding before it goes in the coop. Your choice based on your own circumstances. But whichever you use, it's time to freshen it up. 8. Whatever bedding you use, get in a new supply. Clear old bedding out of the coop completely. 9. If you have a stone or cement floor, buy a disinfectant wash like this one. Use it to clean the roosting bars and nest boxes, too. 10. If you're getting rid of summer sand, you'll find it does not compost down. Use it on your vegetable patch to provide better drainage. 11. While the coop is empty, check for draughts. Your chickens should have a good supply of air for ventilation above the roosts, but no cold draughts at or below roosting level. 12. Check the coop is watertight and fix any leaks. Moisture plus cold air can lead to respiratory problems and frostbite. Plan for predators and pests. As we move closer towards winter, food becomes more scarce for many predators. Foxes, coyotes, hawks, and in Europe the weasel family including pine martens - they'll all come calling for some easy meat. And that "easy meat" is your chickens. 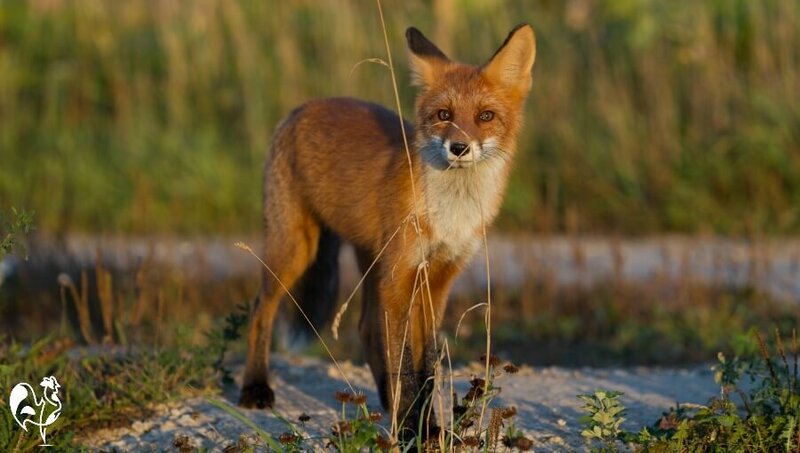 Caught on camera - a young fox looking for a chicken dinner. 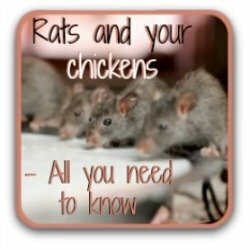 At the same time, rodents start to look for somewhere warm to nest in the cold weather, and where better than a nice, weatherproof chicken coop with a ready supply of grain? 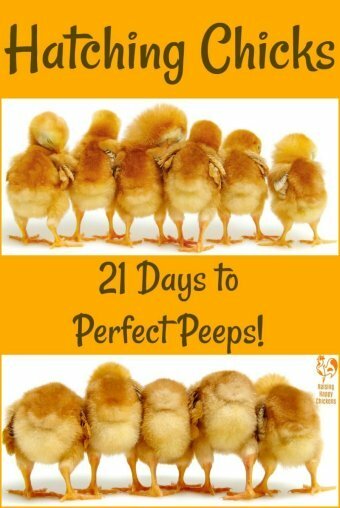 So use this month to make sure your coop is as predator- and pest-proof as it can be. 13. Check your coop's doors and windows to make sure they're secure. Raccoons can lift latches and have been known to pick locks! 14. Make sure hardware cloth over windows and fencing around the run has no breaches. If there are any holes, no matter how small - replace now. Rats and snakes can get in through tiny holes. 15. The best way to stop predators digging is to have your perimeter fence buried a couple of feet underground, with a border of chicken wire laid in an "L" shape at the bottom. 16. 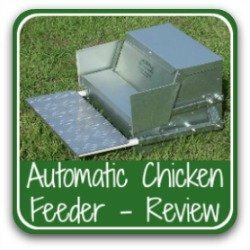 Invest in an automatic feeder like this one (links to my review) to keep grain off the ground and securely stowed away from rodents' noses. A rat can smell grain miles away. Plan for the big freeze! This month, plan how you will keep your flock topped up with clean, fresh water during the coming winter. 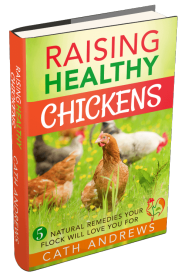 Chickens can go without food for a couple of days without any detrimental effects. But they cannot live without water. If you're in an area where the water is likely to freeze this winter, now is the time to start planning to do something about it. Don't leave it until the dishes are frozen over. Be ready - don't wait until this stage to plan water sources for the winter! This will partly depend on your individual circumstances. 17. If you have no choice but to fill waterers manually, make sure you have an efficient way of doing it. Insulate stand-pipes and use lightweight hosepipe - but take it in at night. 18. Use a large (as large as possible) food grade plastic tub and stand it on bricks so it's off the ground. Cover it at night to help prevent it freezing over when the temperature drops - or take it inside. I use a horse feed tub like this one. It will take longer to freeze, and if there is ice it's likely to be only a thin layer, easily broken. You may have to provide other bricks as steps if your chickens can't reach. 19. Use an electric plate to heat your metal waterer (don't try it with rubber of plastic waterers!). I choose not to have electricity in my coop because of the danger of fire, so I haven't used this myself. But people who have, find it's quite an effective way of keeping waterers ice-free. 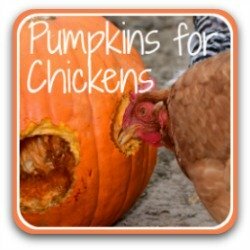 Raising Chickens in October - final tip! 20. Finally, make sure you spend some time with your chickens this month. It's likely to be the last time it will be anything like warm enough to hang out in the coop or run with them, but it can be - literally - a life-saver. Listen out for signs of bronchial problems. Watch eyes for signs of running or swelling. If it's already very cold in your area, keep a close eye on combs for indications of frostbite - there's more information about it on this page. 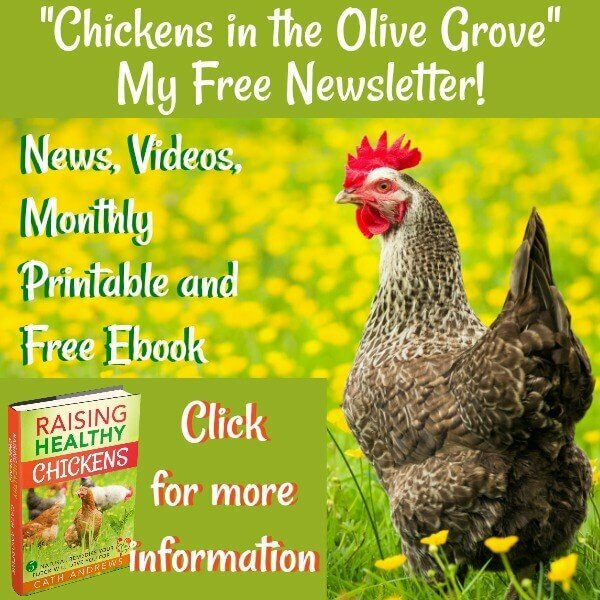 Spend time with your chickens this month! And - just enjoy your flock. Autumn is a colourful, fun time of year. 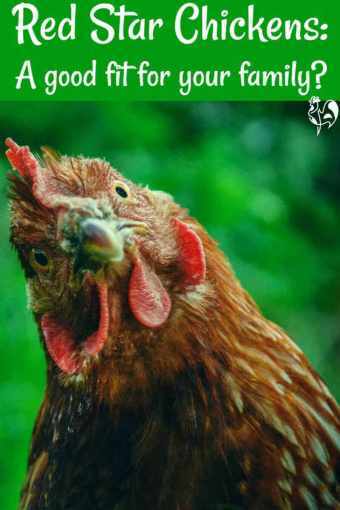 Share its pleasures with your chickens! If you liked this article, you'll find these helpful too.